Yorba Linda Auto Service and auto repair shop offers the best service and repair of Acura vehicles in Placentia, CA. Put Placentia talented team to the test by allowing us to demonstrate our commitment to superior customer and car care. From the moment you walk through our door, Yorba Linda staff strives to supply only the best service to both you and your vehicle. Most shops focus only on getting the job under the hood done as quickly as possible. 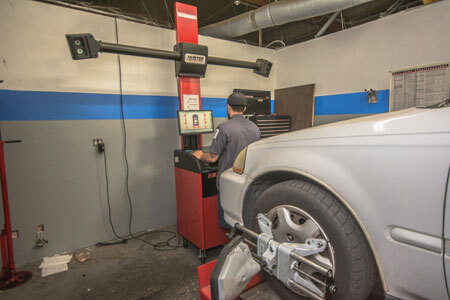 While we make sure not to waste time, Yorba Linda Auto Service also focus on precision, thorough service, and answering all questions our customers may have. Yorba Linda technicians go above and beyond to exceed your customer service expectations. From the moment you walk in the door until you drive away satisfied by the service you and your Acura received, you can expect a superior customer experience. Whether you need routine maintenance or repairs for major damage, Yorba Linda Auto Service team of certified technicians provide top-notch service for any Acura model. Call our shop or stop in Placentia, CA, to schedule your service appointment today!